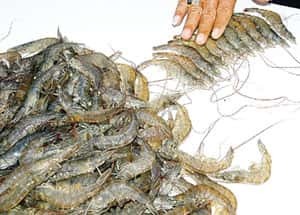 Kochi: India’s marine industry is planning to introduce vannamei shrimp, a native species from South America, to increase production that has remained stagnant at around 150,000 tonnes annually. “India needs to look at alternatives and the vannamei variety is the best bet," says Ravi Reddy, president of the Seafood Exporters Association of the Tamil Nadu region. Best bet: A picture of Penaeus Vannamei (white shrimp). Vannamei culture, which produces only medium and small shrimps, has a yield of 20 tonnes per ha, against 2-3 tonnes that black tiger variety produces. Vannamei culture, which produces only medium and small shrimp, has a yield of around 20 tonnes per hectare against 2-3 tonnes that black tiger variety produces. “We need to have big farms for the vannamei variety but we don’t have them in Orissa," says Mohanty. A.J. Tharakan, national president of the Association and vice-chairman of the government trade promotion body, the Marine Products Development Authority, however, says there are apprehensions within the industry that vannamei might not be suitable for Indian conditions and its introduction may then contribute to an end to the black tiger variety. He calls for selective introduction of the variety in large farms. “Around 20% of Indian aqua farms are equipped to go for the vannamei culture," he says. “We can also look at the big unviable and sick farms for this. The rest can continue with black tiger." However, as vannamei is treated as an exotic variety, it would need government approvals prior to it being introduced here. For now, two firms in Nellore, Andhra Pradesh—Sharat Seafood Pvt. Ltd and BMR Hatcheries Ltd.—have been allowed to introduce this variety on an experimental basis. The industry proposes to request the government to allow introduction on a larger scale, says Tharakan. Prasad Reddy, managing director of Sharat Seafood, says his company introduced this variety in 2003 on an experimental basis and the results have been encouraging. “Even a yield of three tonne per hectare can be more profitable than a black tiger farm with the same yield," he says. “The company gets its broodstock from Hawaiian Shrimp Institute at Honolulu, which has developed disease-free brooders termed as specific pathogen free." Tharakan is also calling for sufficient safeguards regarding broodstock, which must be 100% pathogen-free. According to him, only those hatcheries that are run by the marine authority should be given permission for broodstock import as they have the facilities for controlled-seed production. “Once the government gives its nod, it should ensured that no private hatcheries are allowed to import broodstock," he says, adding that the authority can make good broodstock available in few years.